Aw, that's terrible news. I have many fond memories of reading those books as a kid. I like your rendition of Gonf. jacques books helped this "special" kid learn to love reading. Long live redwall. I only found out about Mr. Jacques passing away less than an hour ago. Thanks Dave, it is very sad news indeed. Jacques practically taught me to read as a kid and inspired me to start writing on my own. I'm so glad I got to meet him and get a couple of books signed. I was twelve in 2001 and Taggerung came out September 10th. It proved to be an enormous comfort on the 11th, I remember reading it in my parents bedroom that night. What's more, I did 4H for years and while I got plenty of blue ribbons I only ever received honors for one project - a watercolor I did of Redwall Abbey. He was such a charming old man and an endearing storyteller. 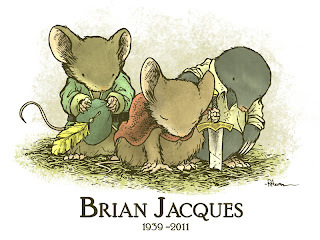 Although I've not read anything Redwall myself, I know it was an influence on Mouse Guard, and I know quite a few people who have enjoyed the books, and were saddened to hear the news. The tribute was quite fitting David. Thank you for that wonderful tribute. Mr. Jacques will greatly be missed, and I will always cherish the series that has captured my heart. It's a sad time in fantasy lit. to see Mr. Jacques go, indeed. Thank you for your artwork from mossflower, I'm happy to see it, and it looks amazing. His final book should be coming out in may, I believe, so we still have that to look forward to. what a wonderful painting. I like to have that one engraved on my tombstone. I wanted to thank you for your post. 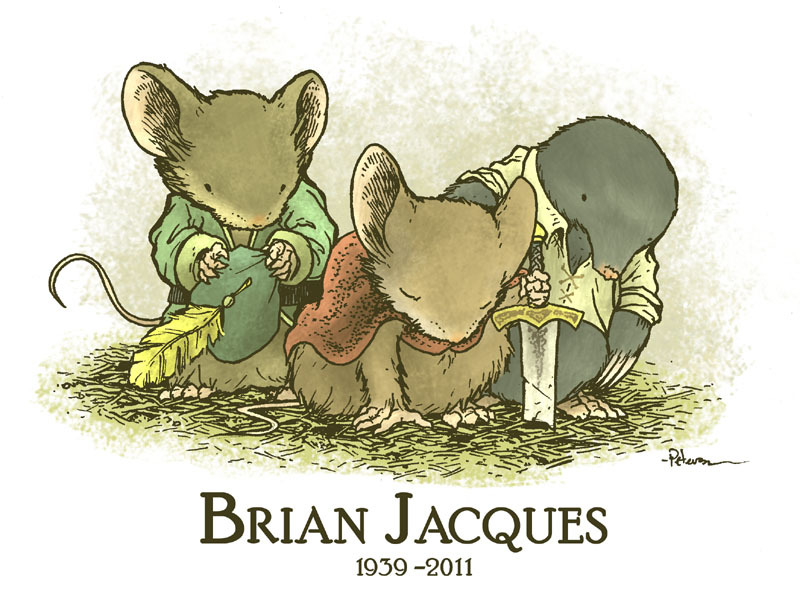 Brian Jacques, is and will always be my hero. He has been a great encouragement to me in my own writtings and though I am still very amiture in both spelling and grammar, I love the influence his life has left me, other kids my age and even my two little sisters as i read redwall to them at night. This was a very nice post and I would love to continue following this blog.